This little fellow moved in to my mum's treasure cabinet on Christmas day. 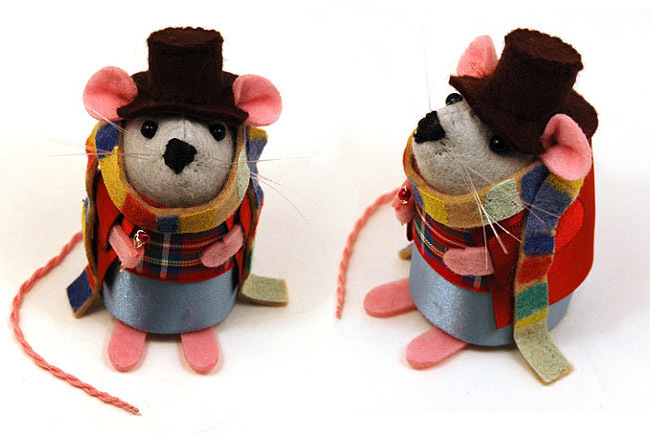 He's a Tom Baker mouse and travelled all the way from the brilliant House of Mouse to set up home with my family :) If you've never heard of House of Mouse, prepare to be amazed. 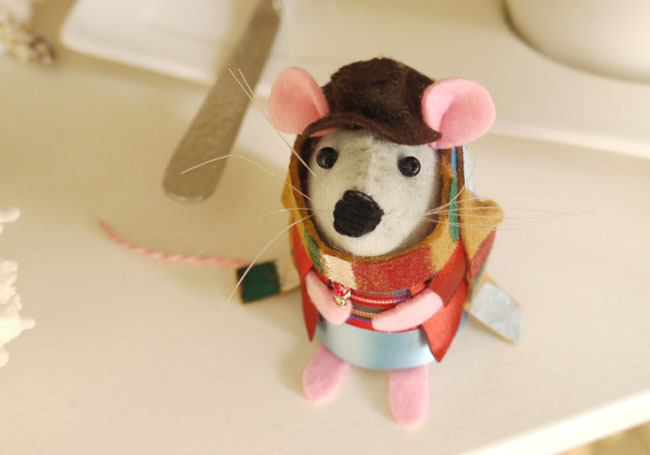 This brilliant UK-based etsy shop sells super cute little felt mice in various ingenious guises - from Tom Baker and other classic Doctor Who characters, to Sherlock Holmes and Watson; Ewoks and Chewbaccas, Harry Potter and friends; Wonder Woman; hobbits; teachers; librarians; brides and grooms; zombies... pretty much any character type you could ever want! 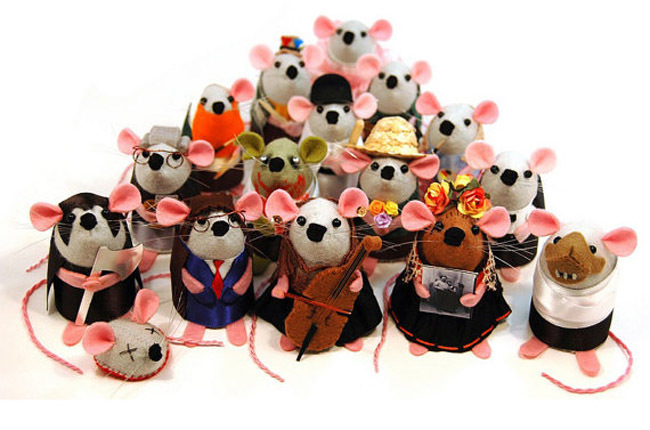 Lovingly crafted by Anna and Nicole, each mouse comes beautifully packaged with a little certificate of authenticity. Honestly, these mice make perfect gifts - my Mum was over the moon with her little mouse. Be sure to check out the House of Mouse shop - and let me know which is your favourite!